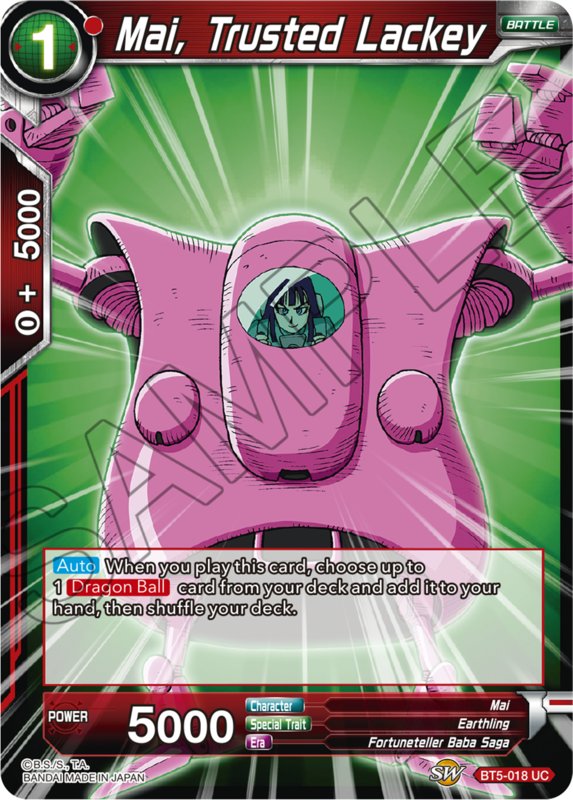 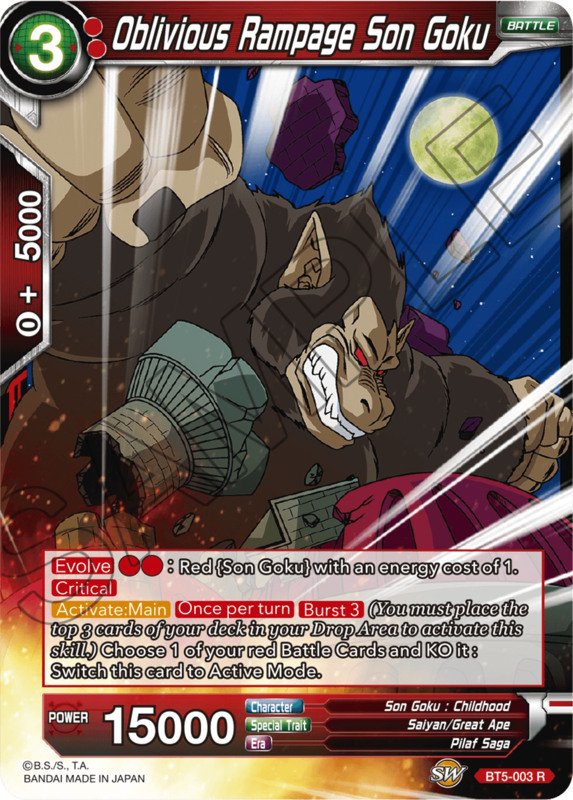 Let’s take a look at a few Red cards from series 5! 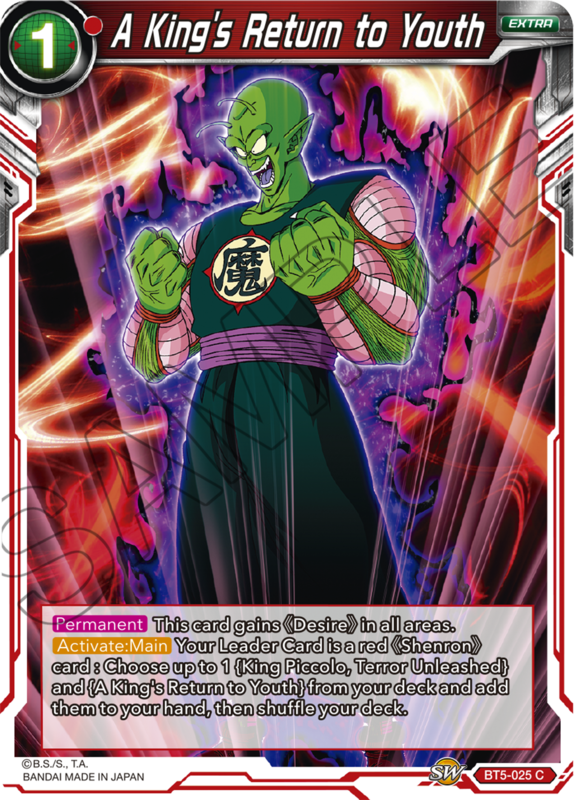 Red in series 5 is mostly focused on King Piccolo, Fortuneteller Baba and the first time Goku and friends summoned Shenron! 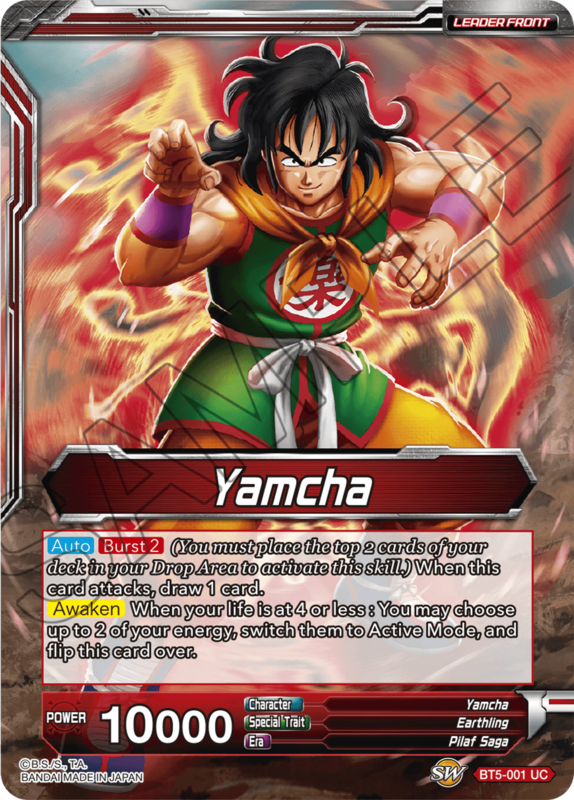 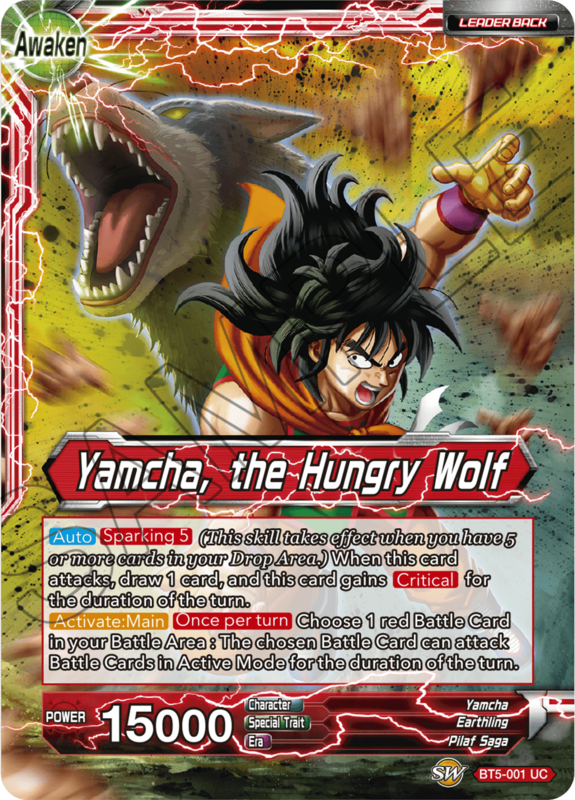 Yamcha’s time to shine has arrived at last! 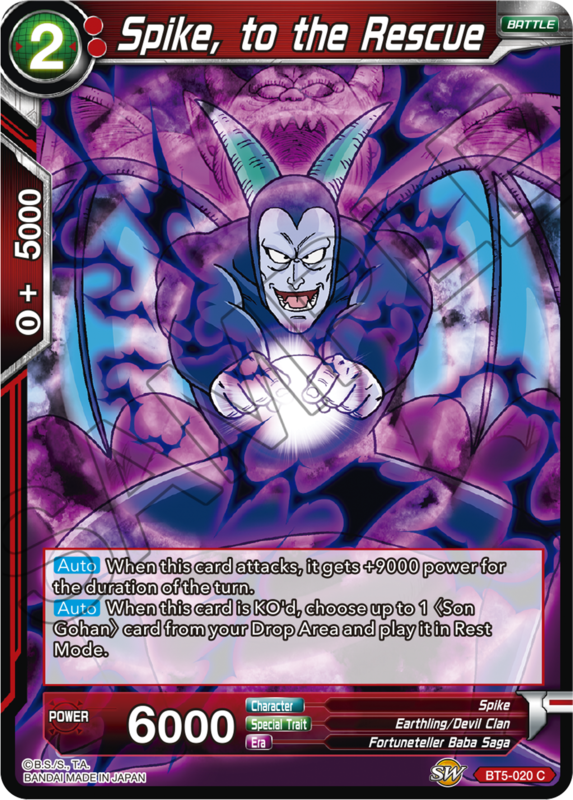 Use his powerful skills to put your opponent’s Rest Mode Battle Cards face down in a crater where they belong! 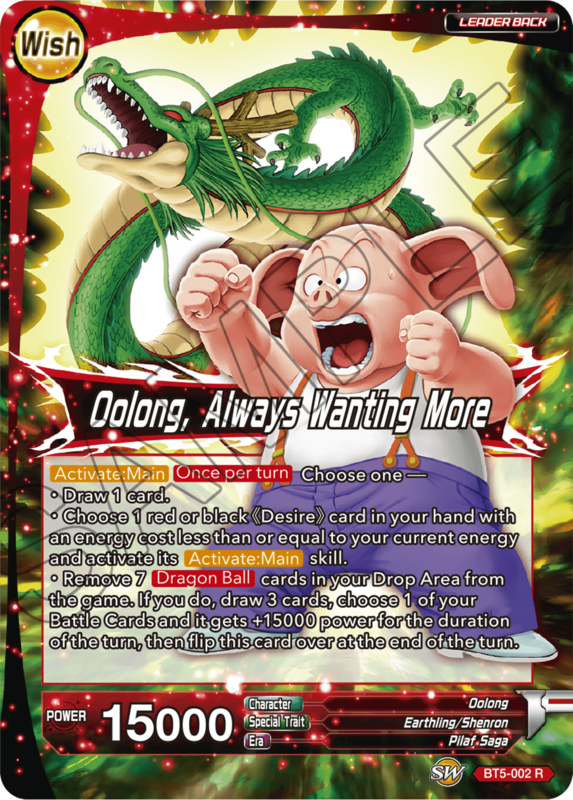 Oolong’s wish finally comes true! 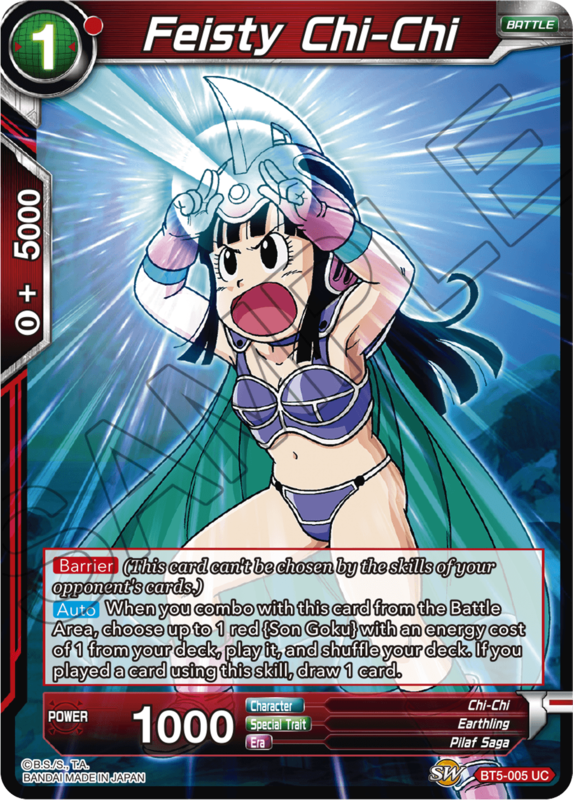 Use Desire cards to ruin your opponent’s gameplan! 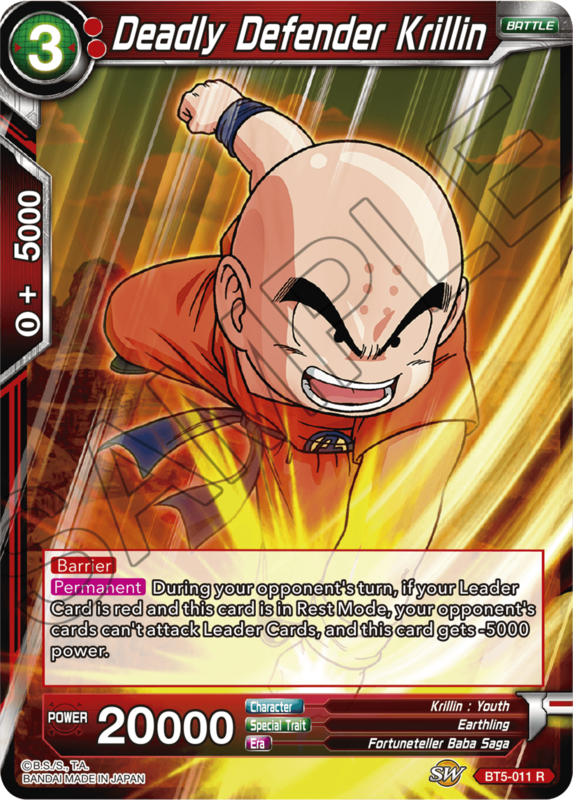 Unleash Goku’s power as a great ape while Krillin takes control of the Battle Area! 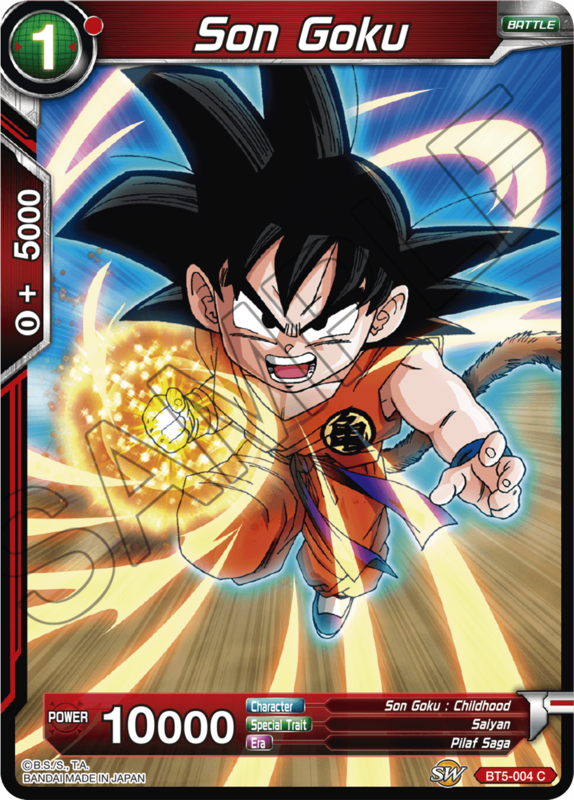 Assemble the Dragon Balls and create an unstoppable combo along the way! 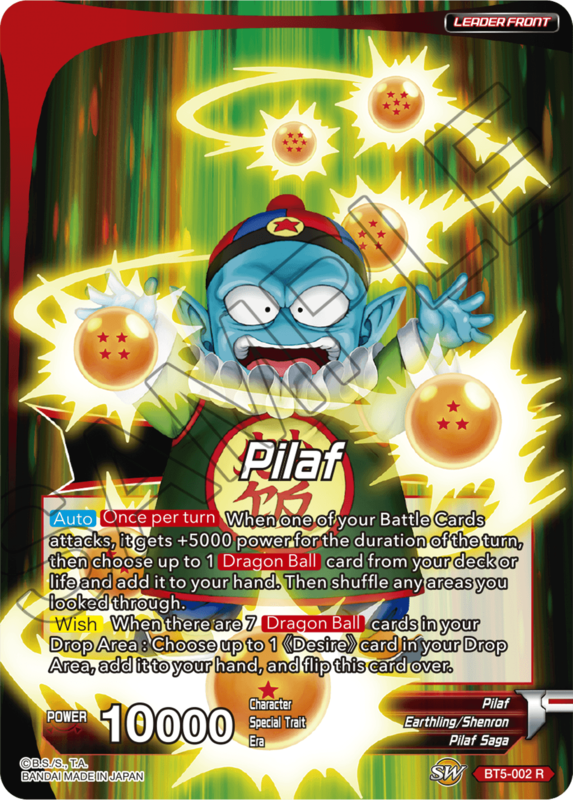 Manipulate your Drop Area and create devastating combos! 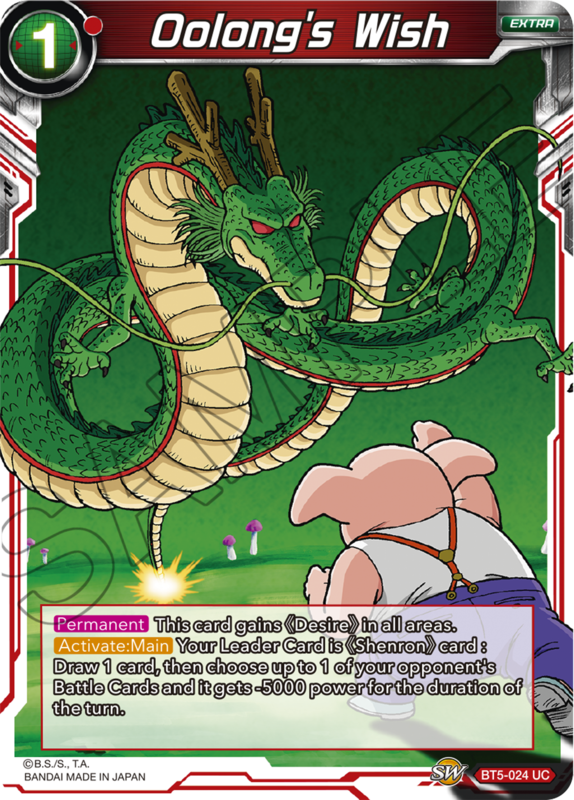 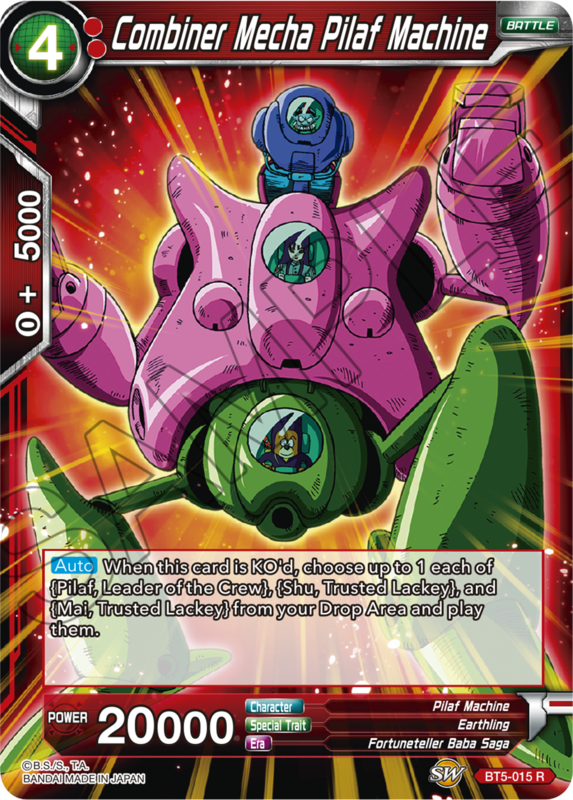 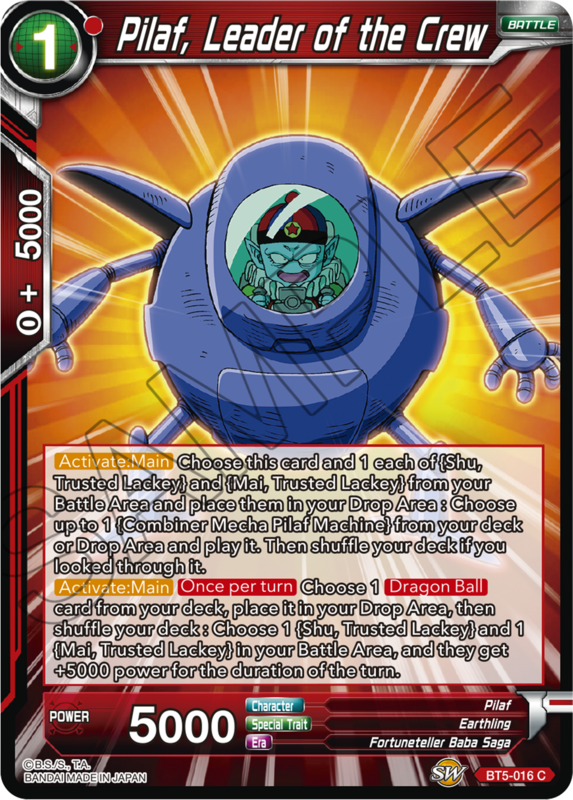 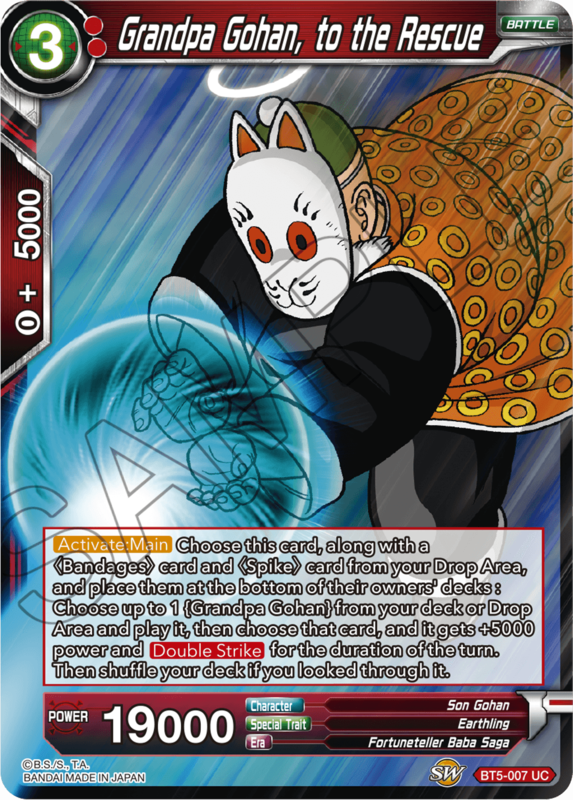 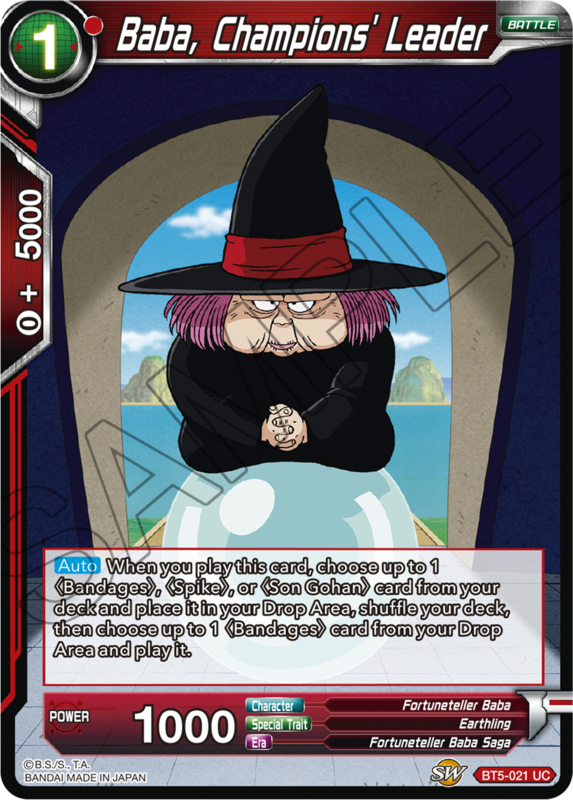 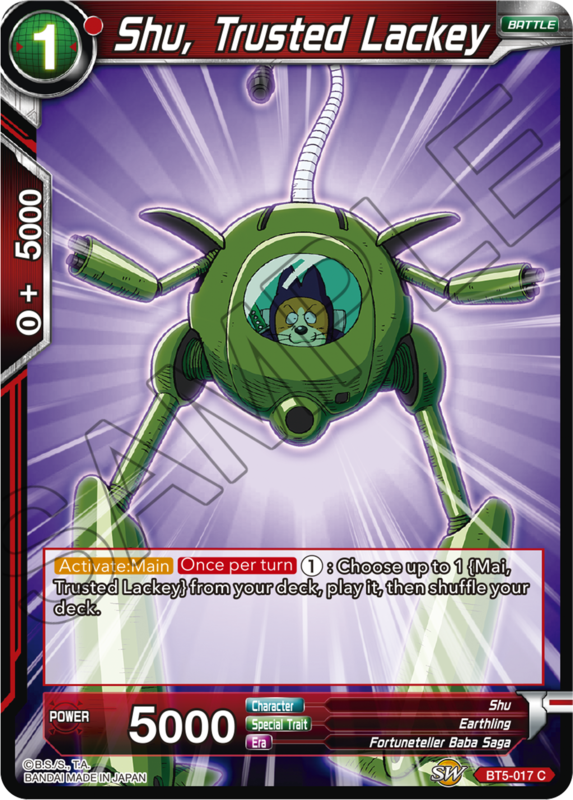 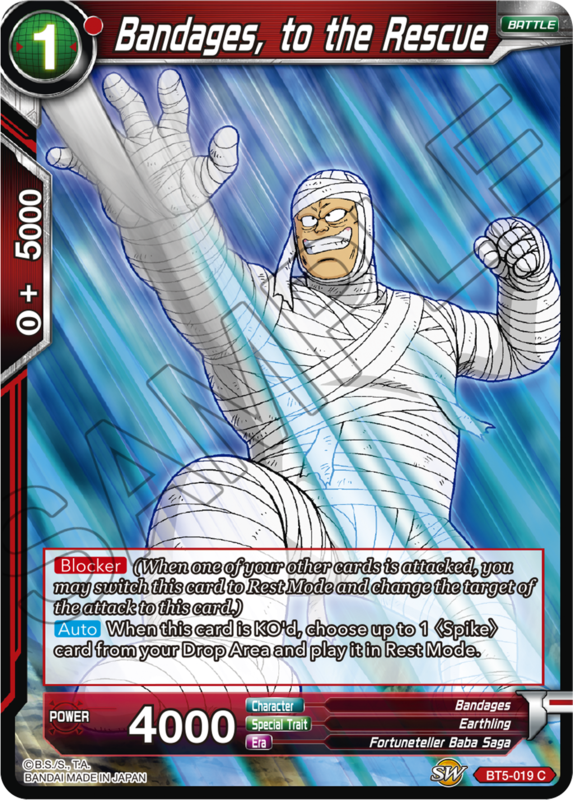 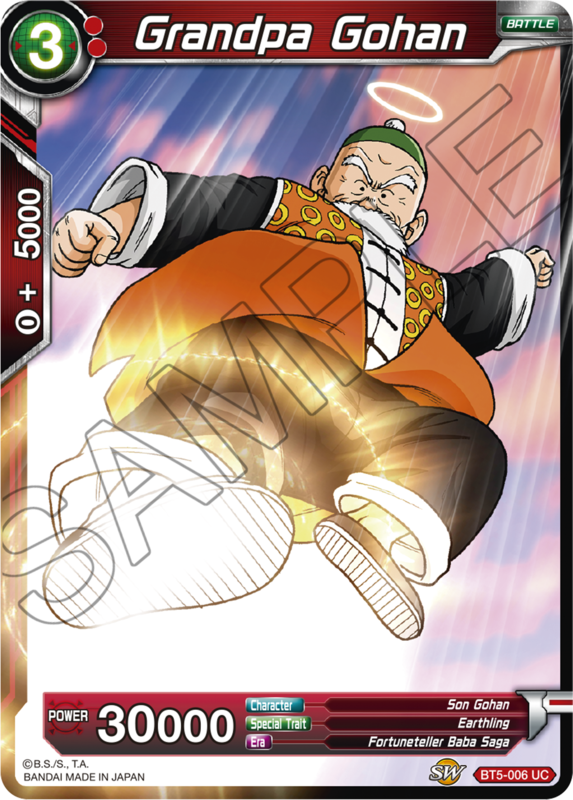 This series also includes cards like “Grandpa Gohan, to the Rescue” that allow you to combo with vanilla Battle Cards! 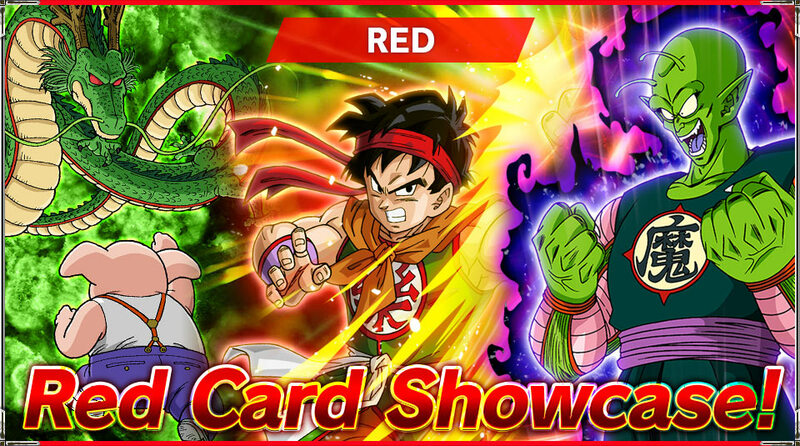 Two of the red extra cards have ＜Desire＞! 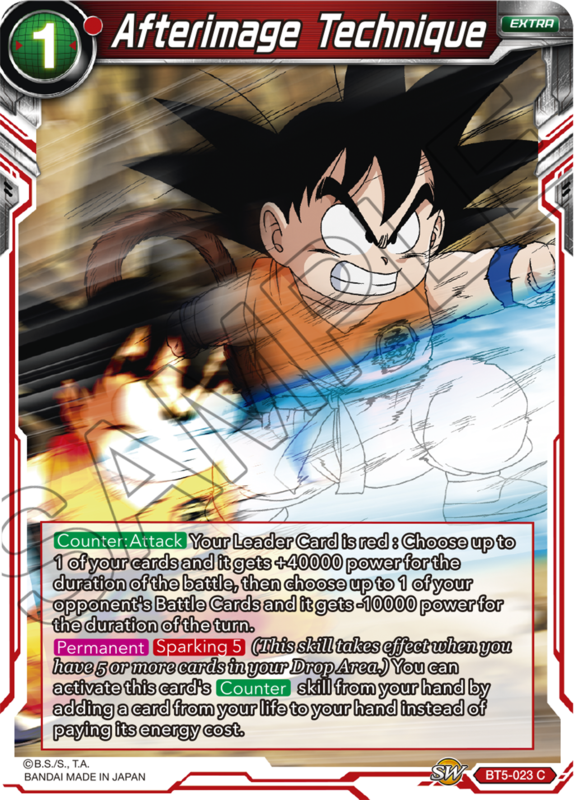 Use them with Wish Leader Cards to create explosive new strategies!